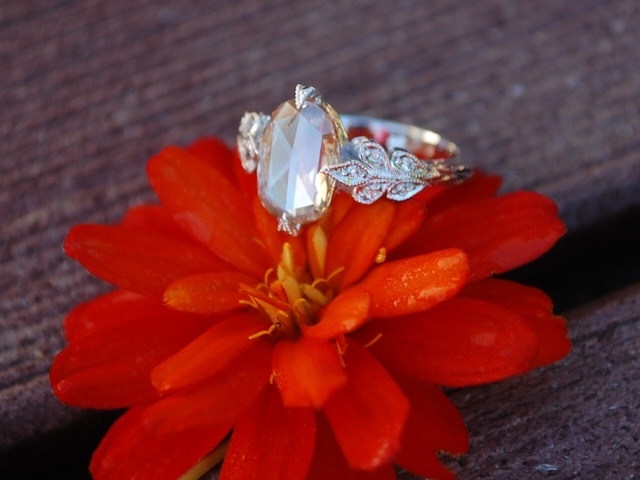 This rose cut ring beauty was shared with us because when Artdecolover71 started seeing rose cuts on PriceScope and elsewhere, she fell in love and knew she had to have her one of her own. She had this custom stunner made by Amcor Design. It is heavily inspired by the work of Cathy Waterman. The way that it sits on her finger is gorgeous! The way that it picks up color is divine. 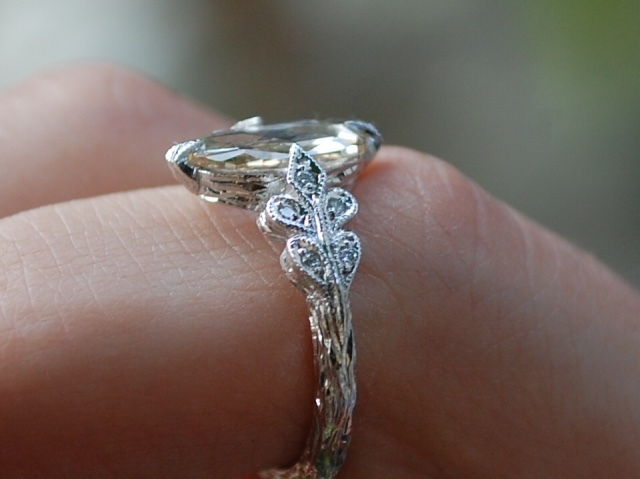 I love the organic look of this ring; it is glamour meets nature in one fab ring! 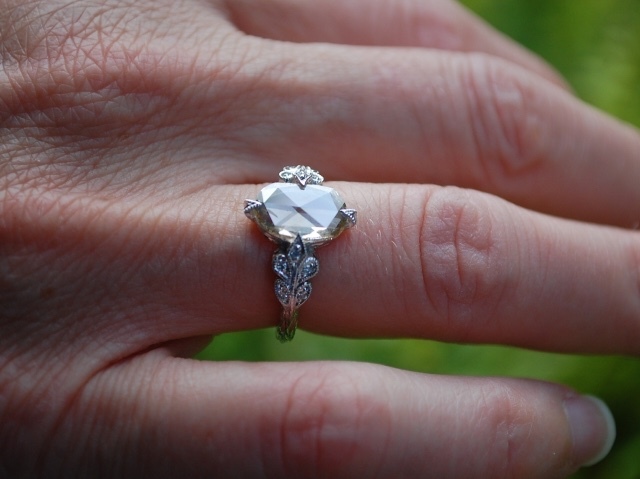 Thank you for sharing your beautiful piece with us Artdecolover71, we are so pleased that PriceScope could help you find your inspiration for such a dream ring! To enjoy more pics, and read the original post, click here. For more information on vintage and art deco style jewelry, jump in the conversation our timeless classic jewelry forum. More information about Antique Engagement rings can be found at our Antique Engagement Ring page.